The great thing about wall art is that you can change it as often as you change your mind, and for me, that’s pretty frequent. The great thing about making your own wall art is that you don’t have to spend a small fortune to add a piece to your collection. 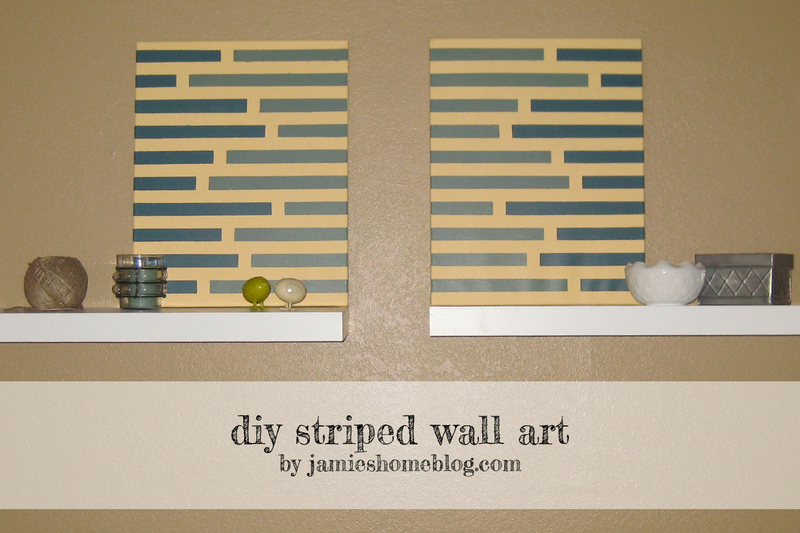 Here’s my latest DIY wall art endeavor! I started with two 16″ x 20″ canvases (about $4 with my Hobby Lobby coupon). 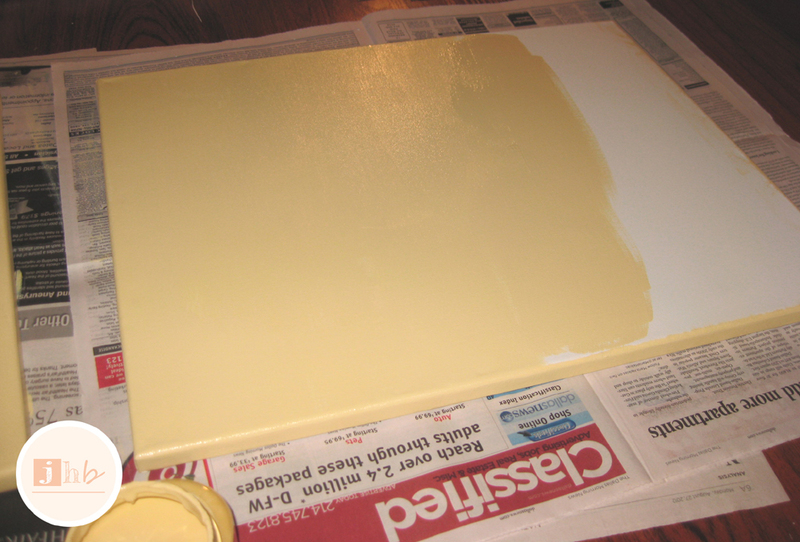 They got an all-over coat of Valspar Delightful Moon, the same buttery yellow that I used on my accent tables. Several days later once that dried, I broke out the ol’ Frog Tape (which I’ve been known to use for wall art before). 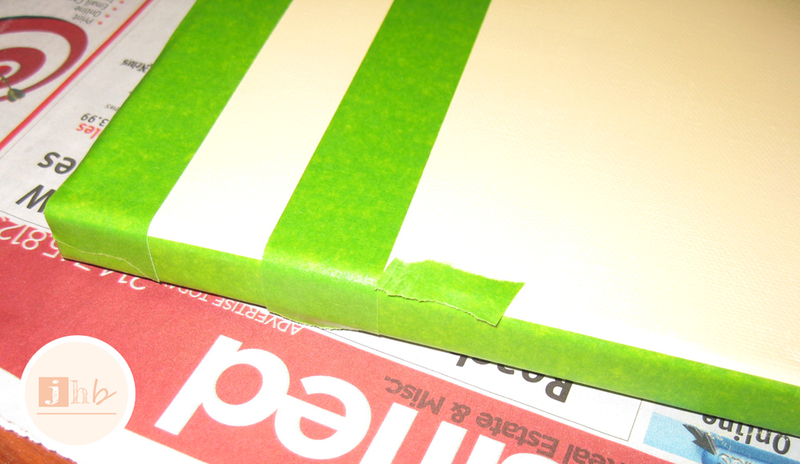 I used little scraps of tape to space the stripes evenly. Then I separated each stripe in random spots to make two stripes per line. 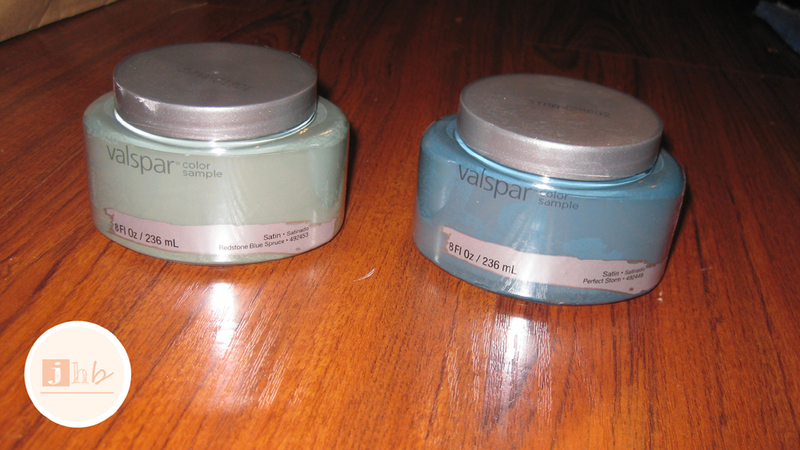 I recently picked up a couple more Valspar samples (I have a serious lack of control when Lowe’s releases their color palettes). These are Redstone Blue Spruce (left) and Perfect Storm (right) from the Playful Pumpkin palette. Each stripe got two coats of paint, Perfect Storm on the left and Redstone Blue Spruce on the right. 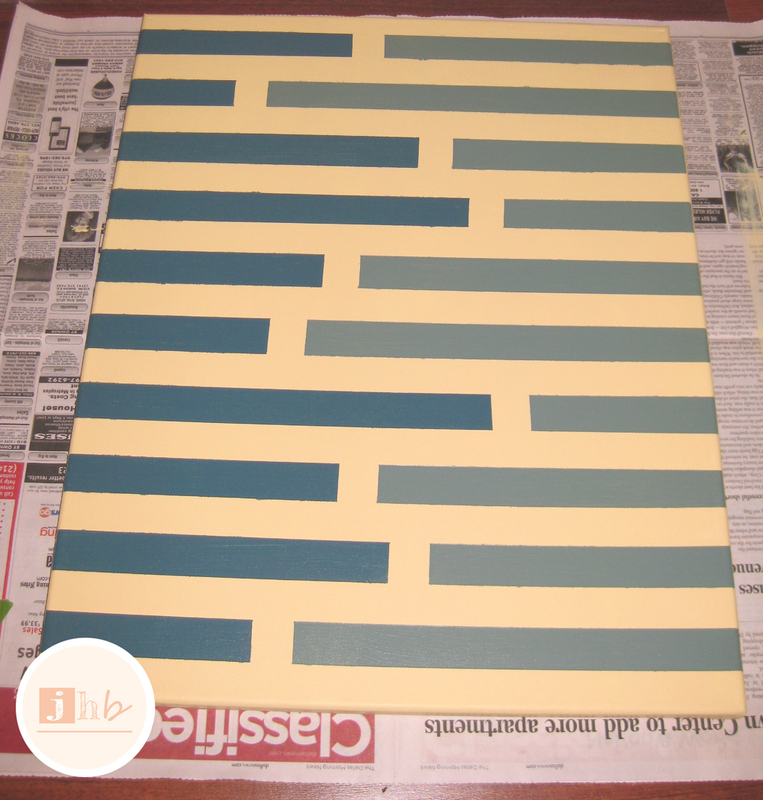 I carefully pulled the tape off while the paint was still wet and was immediately obsessed with the bold, stripey design. Imagine my face resembling the emoji with hearts for eyes. Smitten! 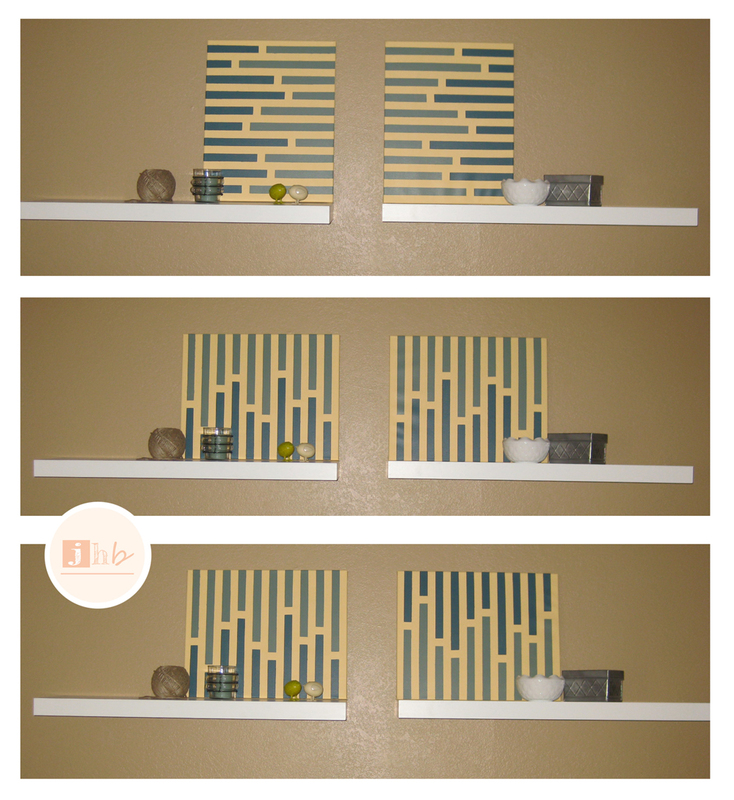 After repeating the taping process (I measured the stripes on the first canvas and taped them off on the opposite side of the second) and repeating the painting process, I had two bold, stripey little works of art to put on our floating shelves in the living room! 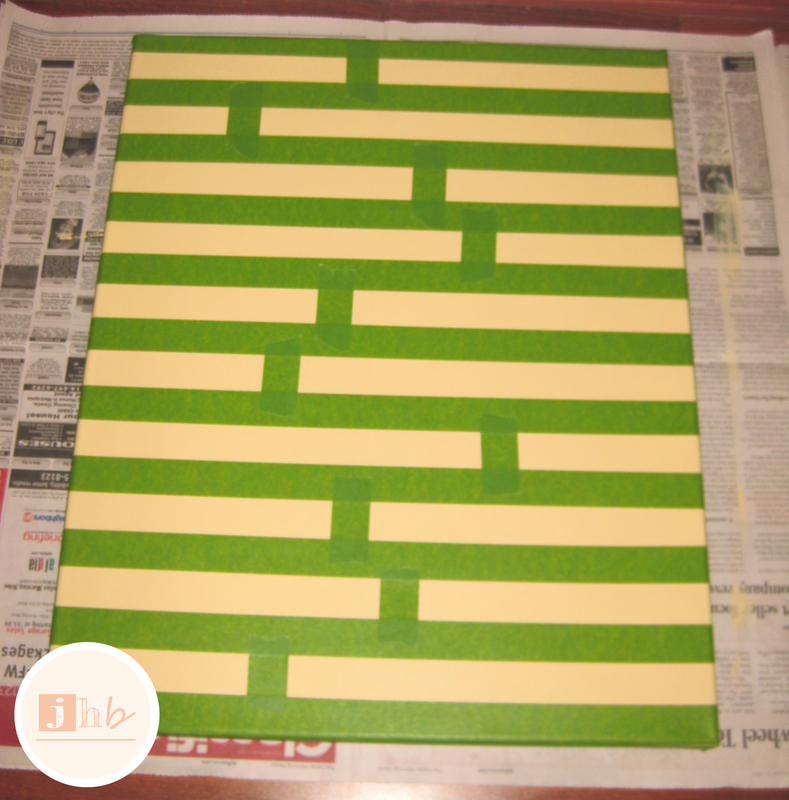 This entry was posted in Crafts, DIY and tagged diy wall art, frog tape, paint. Bookmark the permalink.